Sorry for being a noob. I've just bought into the steemit vision. I have to say i'm not a blogger or content creator. I love reading great content and thought by joining steem I'm supporting these content creators. Another reason for buying into steem is steem power. I've got no clue how the dividend payments are calculated. I've found a few answers but based on my dividends both of them does not seem to tally up. I've taken a years interest. I'm thinking of HODL'ing for 2-3 years at least but taking 1 year as an example. And if my maths is correct. For 100 steem power i will get 102.409 steem power. So as far as my deduction goes. 1 is way too high to be sustainable. 2 seems about right. And 3 i might as well FIAT and bank it. 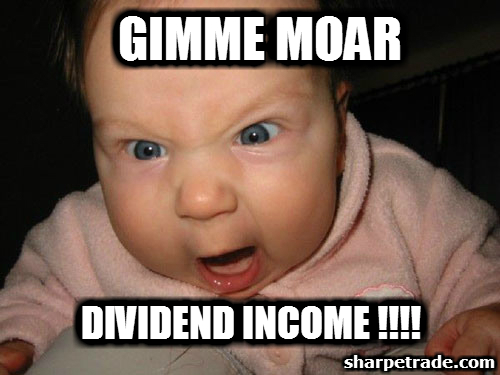 Anybody can once and for all categorically tell me how and what my real dividend will be in a year? Good info. I'm new as well, but your point is well taken. I'm curious on the price movement and how it will play out. Anyway, I was wanting to put money into this and didn't know what website you used? I tried it on Poloniex last weekend and Steemit was unable to be purchased. I'll take a look at it again today. Thanks. I bought it from steem website itself. There are lots of YouTube videos (I typed how to buy steem power). I've used bittrex myself and have had no problems. You can deposit bitcoin to the Steemit and exchange it for STEEM or the biggest platform you can buy it on is Bittrex. You might as well hold it in the steem wallet though as the steem power is beneficial to have on your account.